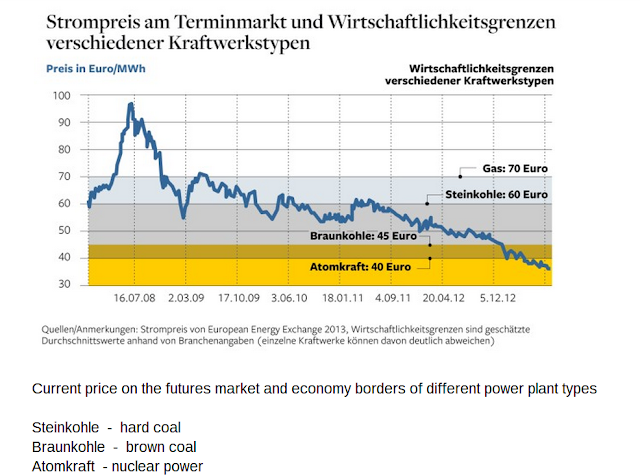 Nuke Pro: Lie of Nukists: Germany Regrets Doing Solar and Their Prices are Going Up, LIE!!!!!!!!!!!!!!!!!!! 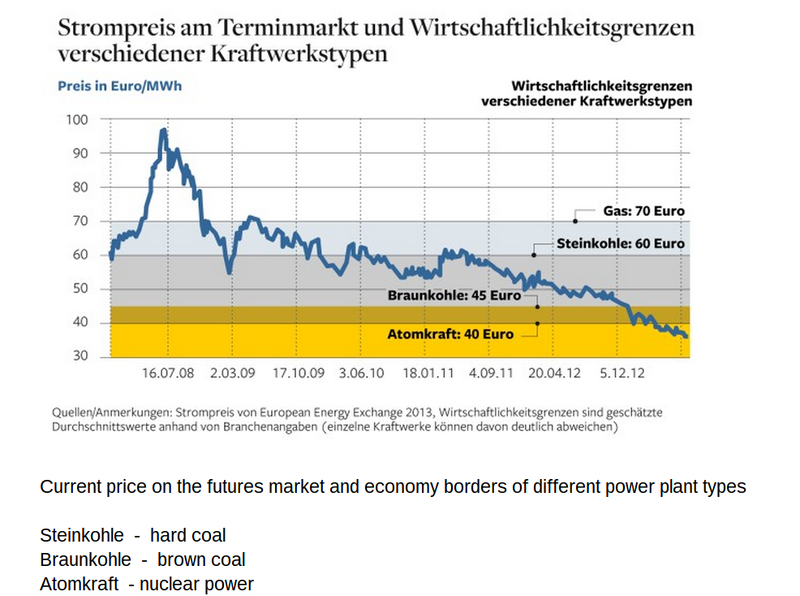 Lie of Nukists: Germany Regrets Doing Solar and Their Prices are Going Up, LIE!!!!!!!!!!!!!!!!!!! 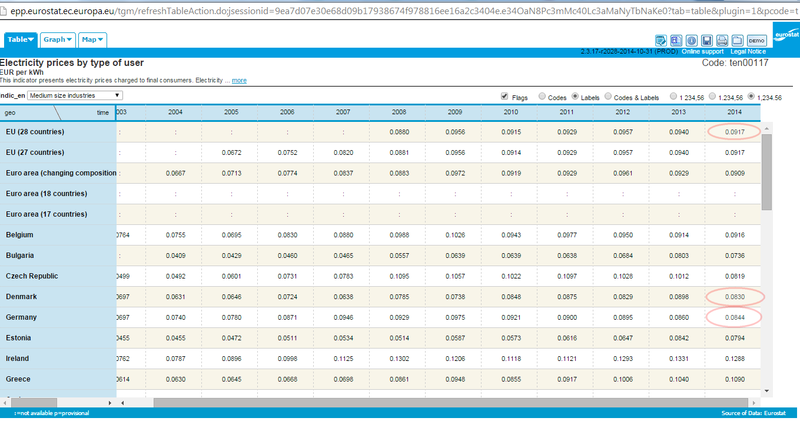 The second graph shows German wholesale prices through 2013. 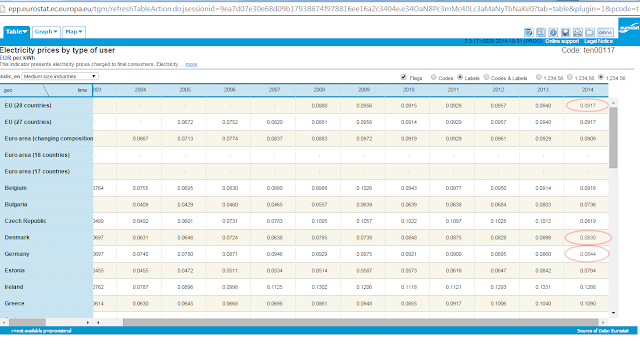 I'm also sending a screen capture that shows both German and Danish industrial electricity cheaper than the #EU average in 2014. ** Those that support nuclear power because nuclear power somehow supports them; no matter what the health implications or other "costs" are for others. What has posterity done for me? Great link, great summary. It's almost going mainstream. Quote from linked article above: "Remember what happened in 2013?" I remember what happened in 2011 (and still ongoing, of course). Did i miss something? Seems like a minor misprint, yet doesn't detract from the article, imho. 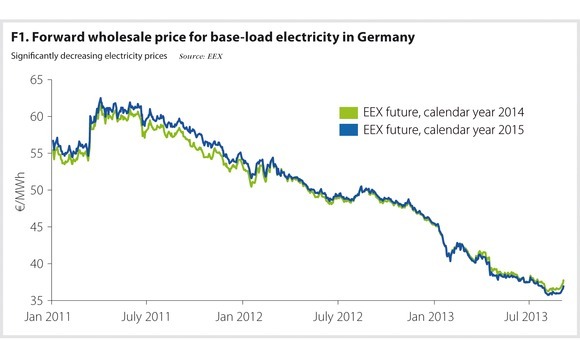 Now the real headline: "Germany regrets not doing solar/wind sooner! ".